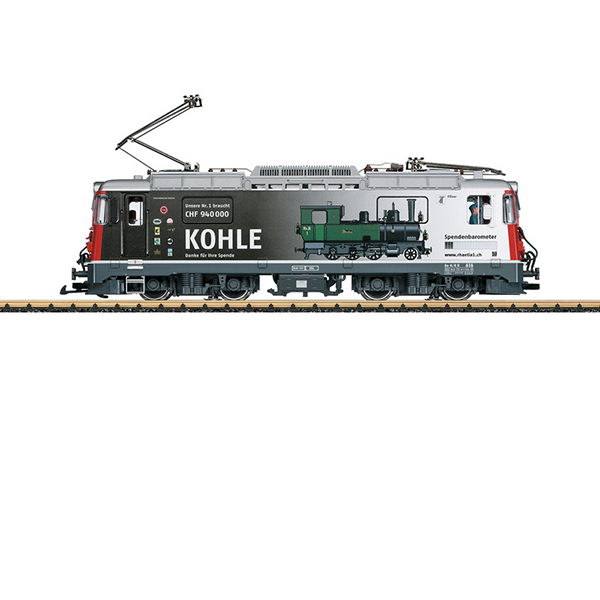 Product: This is a model of the Rhaetian Railroad class Ge 4/4 II electric locomotive, road number 616, in a special paint scheme with an appeal for donations to restore the first RhB locomotive, the steam locomotive "Rhätia". The paint scheme and lettering are prototypical for Era VI. All 4 wheel sets are driven by two powerful Bühler motors with ball bearings. 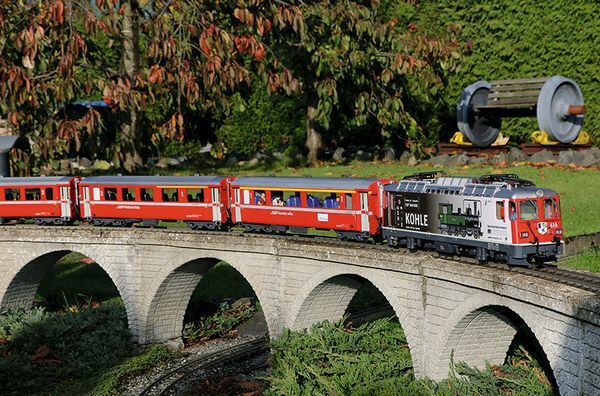 The locomotive is equipped with an mfx/DCC decoder with many light and sound functions. The pantographs are powered by servomotors and can be controlled digitally. Length over the buffers 57 cm / 22-7/16". One-time series in 2019. For each locomotive sold 50 Euros will be donated to support the restoration of the original "Rhätia" locomotive on the RhB. Running sounds also functional in analog operation.